Probably Australia’s smallest Silver Perch Hatchery, but one of the best, offering high quality disease free fingerling. We are also a freshwater mussel farm and one of the largest in Australia. Located in the rural community of Swan Bay, NSW, adjoining Medowie State Conservation Area. Copyright © 2018 Australian Silver Perch – All Rights Reserved. Australian Aquatic Biological P/L: www.aabio.com.au The parent company, supplies consultancy to the Aquaculture industry and conducts aquatic biological surveys. RBM Aquaculture: www.rbmaqua.com.au Supplies consultancy plus nets and traps to the aquaculture industry and general public. Australian Crayfish Project: www.austcray.com Sponsored by AABio the project run entirely by volunteers with a thirst for knowledge on freshwater crayfish. The aim is research and conservation of Australian freshwater crayfish. Mid West Yabby & Fish Traders: Trading in Yabbies and Fish under a NSW Fisheries Class E licence. The Proprietor of AustSilvers, Rob McCormack has had over 20 years experience as the owner and manager of a number of yabby and fish farms. Currently, Rob is the Research and Aquaculture Director for Australian Aquatic Biological P/L, an Australian company that conducts aquatic research with a priority on conservation. They also provide aquaculture consultancy to the industry. Rob is a Research Associate with the Carnegie Museum of Natural History in Pittsburgh, USA; Honorary Research Fellow with the Queensland Museum; amateur Taxonomist; Secretary/Treasurer of the NSW Aquaculture Association Inc. and the team leader of the privately funded Australian Crayfish Project, which conducts biological studies of every creek and stream in Australia, collecting and identifying crustaceans. Robert has a passion for freshwater crayfish traveling across Australia to find and photograph them; he has published over 12 scientific papers describing new species or the conservation of species in peer reviewed international journals and is the author of 8 books on aquaculture and freshwater crayfish. 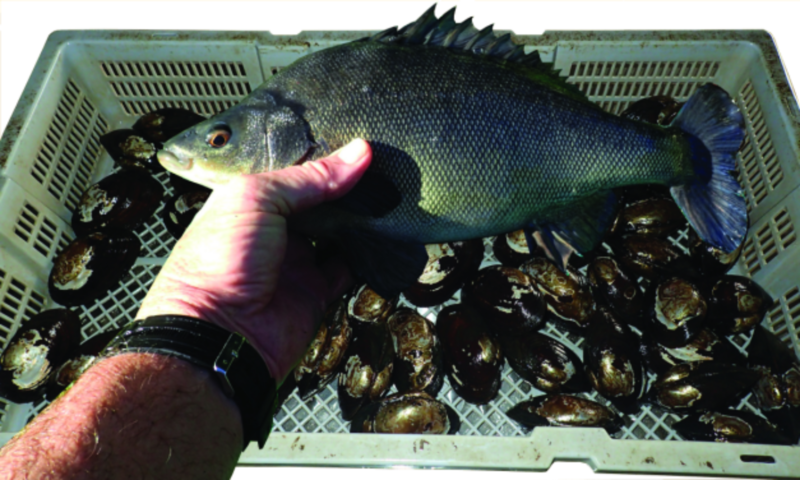 Silver Perch fingerlings for farm dam or commercial farms. Min order 100 fingerlings. Bigger bulk orders with discounted pricing. Freshwater mussels at discounted rates. Min order 200. Bigger bulk orders discounted.